The games industry makes a lot of money, more money than film and music, as is loudly celebrated by the publishing suits. But the medium still has a long way to go. Of the four benchmarks that we could use to judge a game's success - revenue, units sold, cultural impact and diversity of content - the industry often seems to care only about one: the almighty dollar. High unit prices mean that although Modern Warfare 2 broke sales records and raked in obscene amounts of money, it still comes nowhere near a Harry Potter novel or even Celine Dion in terms of mass market appeal. In an age where interactivity is part of most people's daily lives, games should take their place as our pre-eminent art and entertainment form. In order to achieve this, however, they must take risks and - at least to some extent - leave behind childish things. "Diversity of content is the top thing, because, once you have that, the rest follows," said prominent independent developer, Chris Hecker, as we sit down for a chat. As we talk, it becomes clear that he cares deeply about games and believes in their staggering potential. But it is equally clear that he is afraid that commercial pressures will prevent the medium from living up to that potential. "I would really like to see games have the breadth and depth of the other big art forms. You look at the bookstore, or a list of the recently released films, and there are works about space marines, pregnant middle-aged women, kids struggling with divorced parents, political thrillers, the list goes on. We basically only have the space marines. 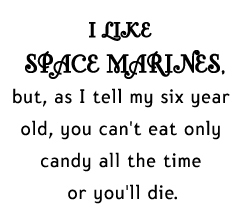 I like space marines, but, as I tell my six year old, you can't eat only candy all the time or you'll die," he said. Hecker has had plenty of experience working with industry giants such as Microsoft and collaborating with Will Wright on Spore, and he has become an increasingly outspoken critic of the way the industry operates, as well as one of game's most energetic champions. He claims that games are lagging behind other media in reaching a mass-market audience because they still pander to a narrow set of users. For a long time, the games industry remained a closely knit club of geeky boys, which meant that most developers were making games that were fun for themselves and the likeminded people surrounding them. There have been positive steps towards diversification, such as more unconventional characters, but this insular culture did not lead to widespread content innovation. There are three possible paths, according to Hecker, that games might take which can be analogous to other products - toys, comics or cinema. "Games as toys" represents a future where games are made just for fun, but do not attempt to be anything more. "Games as comics" denotes games as an art form with amazing potential and a few incredible stand-out works, but which ultimately ghettoizes itself by producing the same kinds of content (i.e. superheroes) until it is impossible for it to be taken seriously by the mainstream. The third route is "Games as film," which, to Hecker, represents the ideal popular art form because it is diverse, deep, and culturally respected, spanning the pantheon both of art and entertainment forms. Needless to say, he's hoping for the third path.